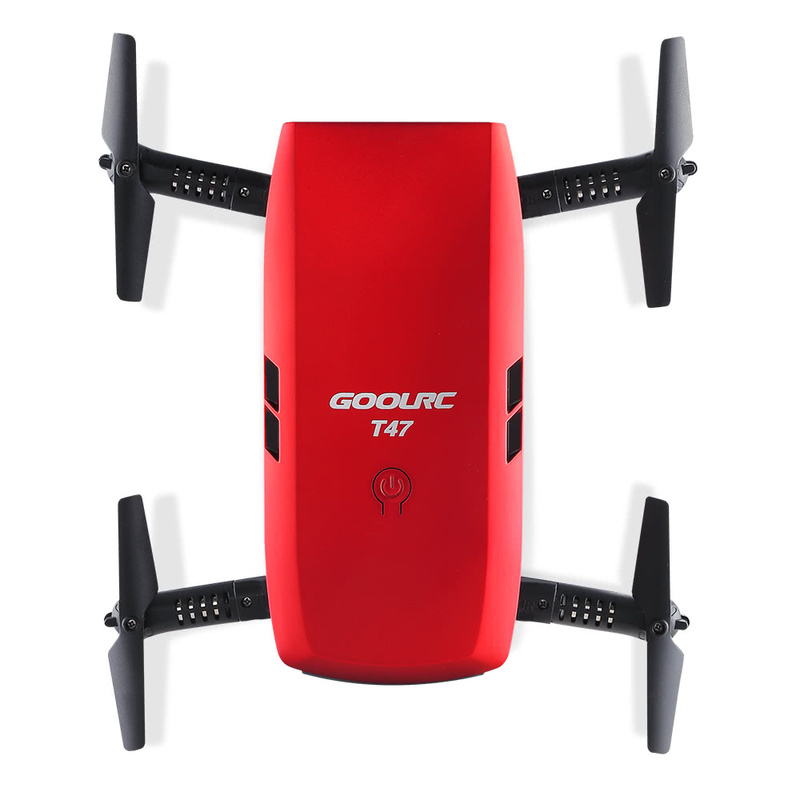 GoolRC T47 is a fantastic foldable drone with remarkable cool appearance. 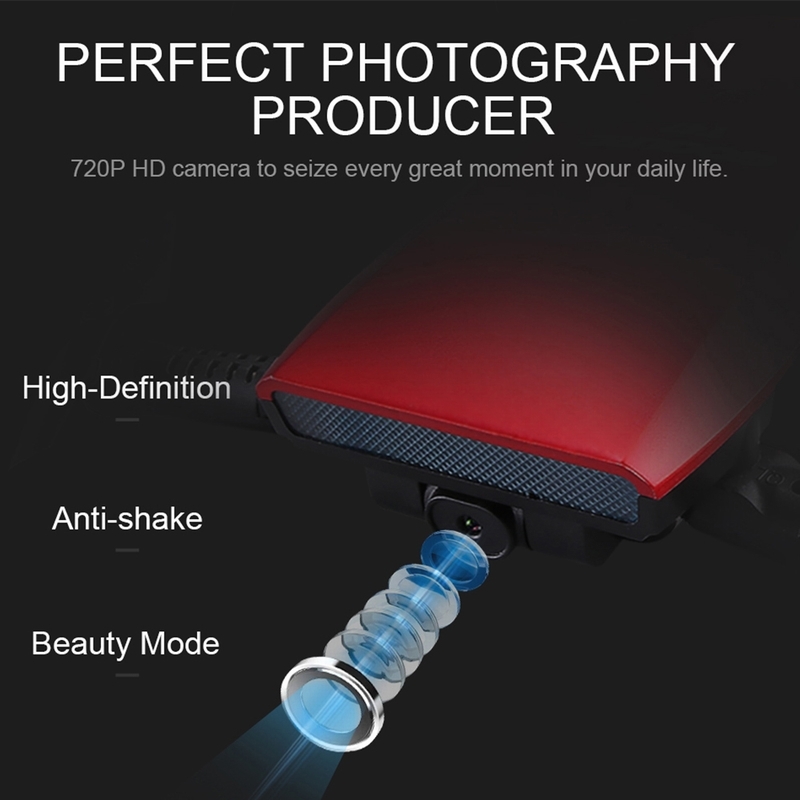 Adopted brand new 720P HD camera for more clear aerial image, Wifi APP control with gravity-sensor mode. And special one-hand grip remote controller with gravity sensor gesture provides unique controlling experience. Great choice for RC fans. 720P camera with Wifi real-time transmission FPV system, allows you to get great selfies effortlessly and record remarkable moments, the image transmission range is about 30m. 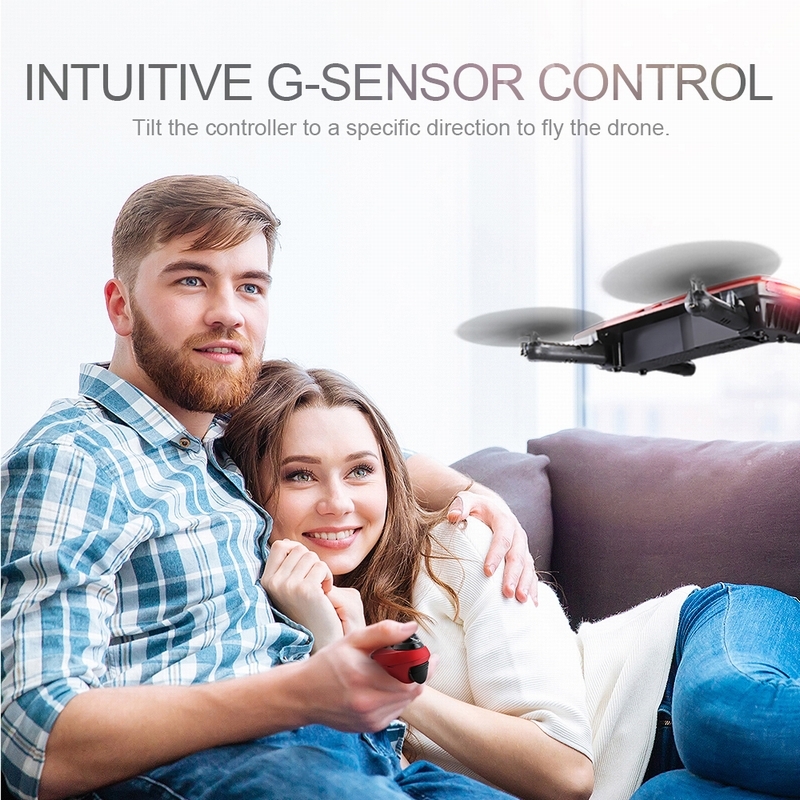 2.4G grip controller with G-sensor control and barometer altitude hold function, easily control your drone by tilting the phone and provide one-key takeoff / land simple operation. Q Good day How can I get one or two extra batteries for this dron? How can I connect it to my phone to take pictures? 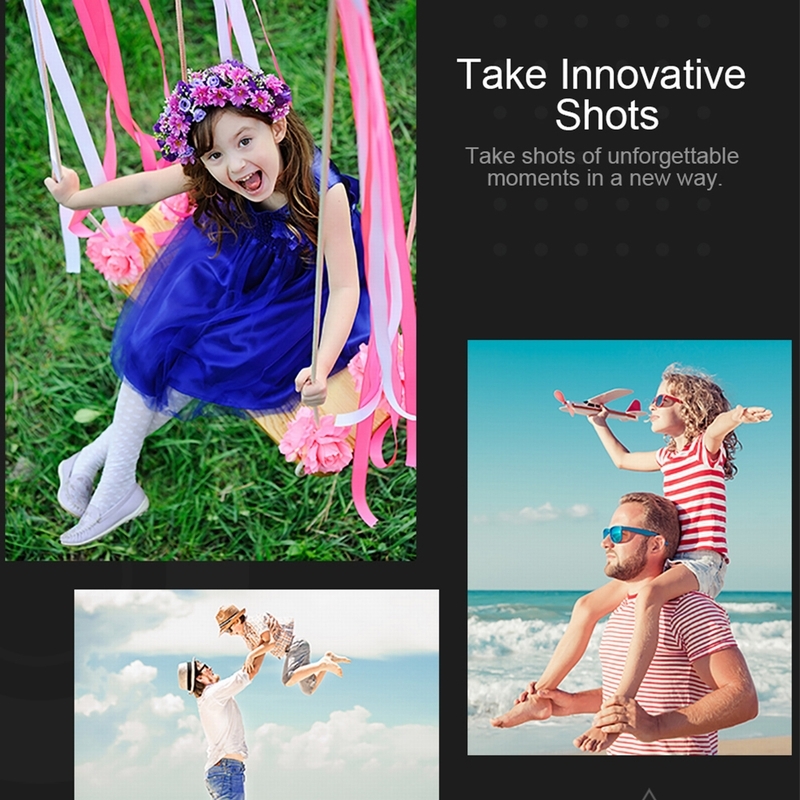 you can download the app that will control the drone flight and take photos or videos. About 9 minutes on a full charge. Can it be flown indoors? hen will spare batteries be available? The batteries for this quadcopter will be coming soon. Can it record the video? yes, It can record videos. Can this item shipe to new york ?? Yes, this item with Prime shipping, can be shipped to USA address. can you record videos that you can actually save in your phone gallery? 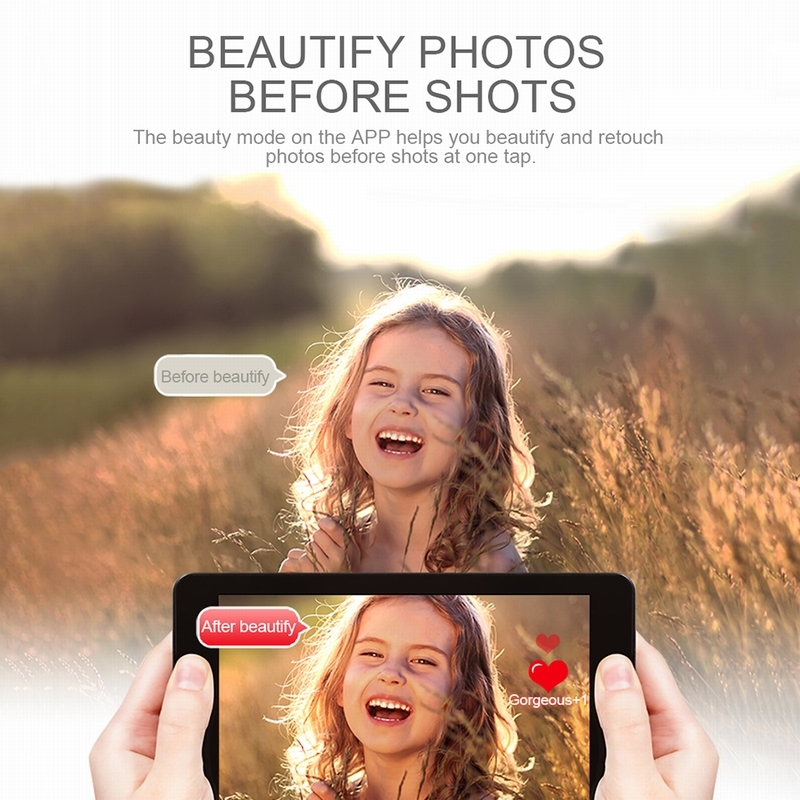 Yes Not that I had experience with it But it should record photos and video to your smartphone. No. It does not have follow-me feature. 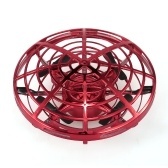 But, the gravity sensor allows you to just tilt the remote or smartphone and it will move the drone. Altitude hold and HD camera is awesome though. 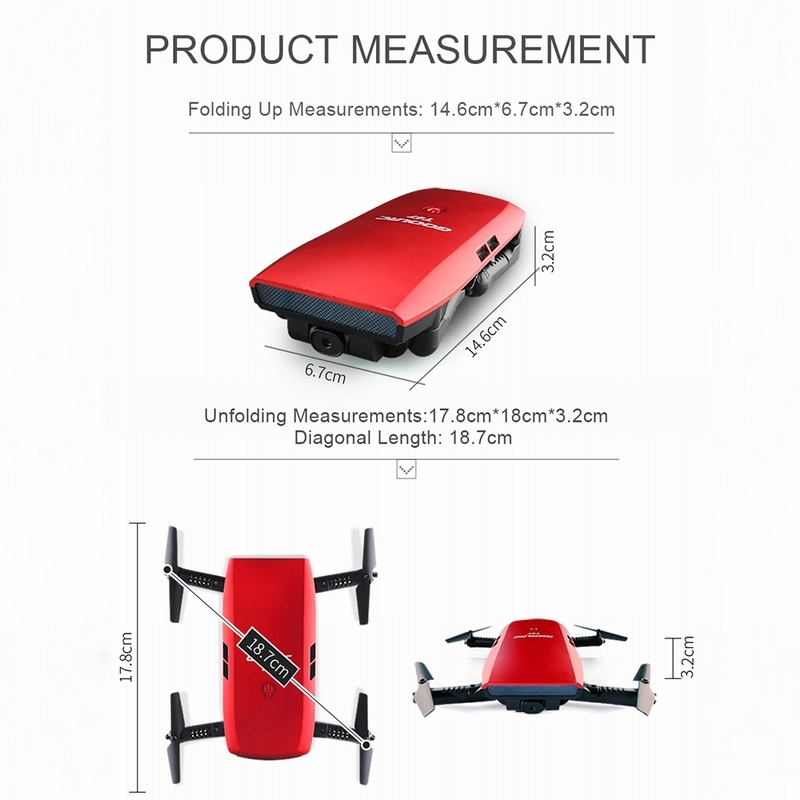 What is max altitude of this drone? If battery dies in flight does it free fall, or just reduced power allowing it to land? Quality service. Quality product. Highly recommended. Super fun drone! Excellent seller. Fast shipping! 5 Stars! Thanks! Pretty easy to set up, it came out of the box and the batteries were charged and we were able to begin flying within five minutes. One thing I didn’t realize was that you have to fly it primarily from the iPhone or android app, and you need to connect to it inside the Wi-Fi settings first. I also own a Mavic Pro, and was surprised that this was set up so similarly to that. It certainly takes some practice to get used to flying it from your phone! 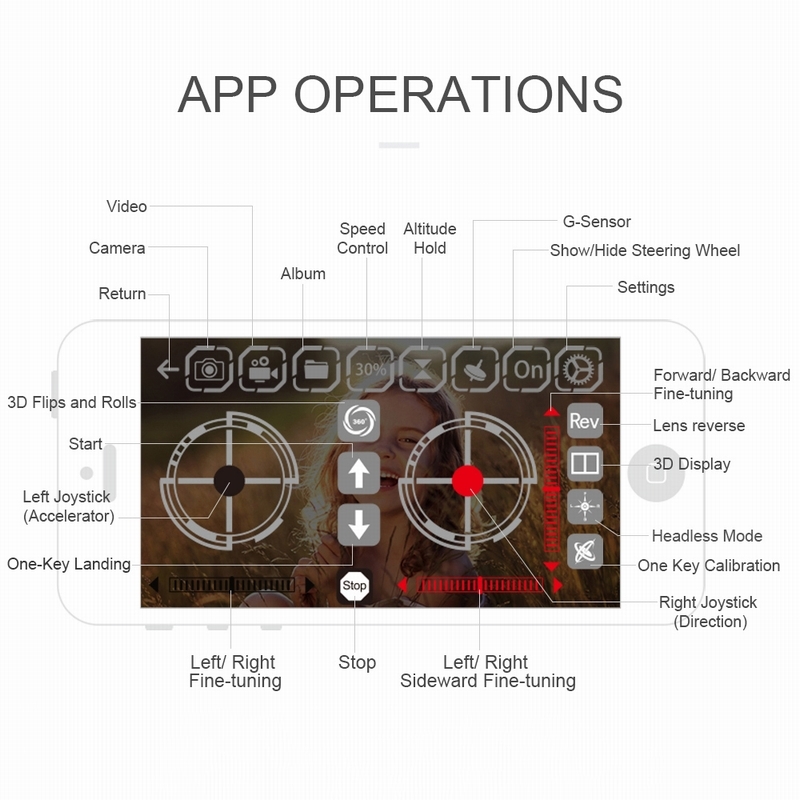 Without any physical toggles, you just kind of have to guess where your hands are as you’re watching the drone. Even though I played with the handle that comes with it, I didn’t quite grasp the concept fast enough and decided to skip straight back to my phone after about five minutes of messing with it. The batteries seem to last a long time, and they charge up pretty quickly, so that was nice. And the camera is excellent! It was surprising just how crystal clear of the photos were. Overall, I’m glad we purchased this and it does a great job with photo and video, but it doesn’t handle much wind outside and if you were purchasing this for the video capabilities, you definitely need to plan and learn how to use it before you take it outside. Pros: Video Photo Speed Easy to set up Cons: Might take a few practice flights to get decent. Fast delivery! It's perfect condition. Excellent seller. Good email,quick response. Would do business with again. I expected so little from a non professional drone but wow, this little guy is totally worth its price. 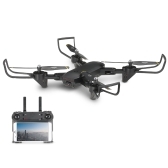 I've used DJI's Mavic Pro and I also played with a $20 micro drones, and I'd say this GoolRC drone is about the size of a DJI Spark, but is able to fold its arms for super portability. I needed to read up on the manual for some time but once I got the hang of it, flying it with the controller was a breeze. You turn on each things, press calibrate, start the engine, and you're good to go! 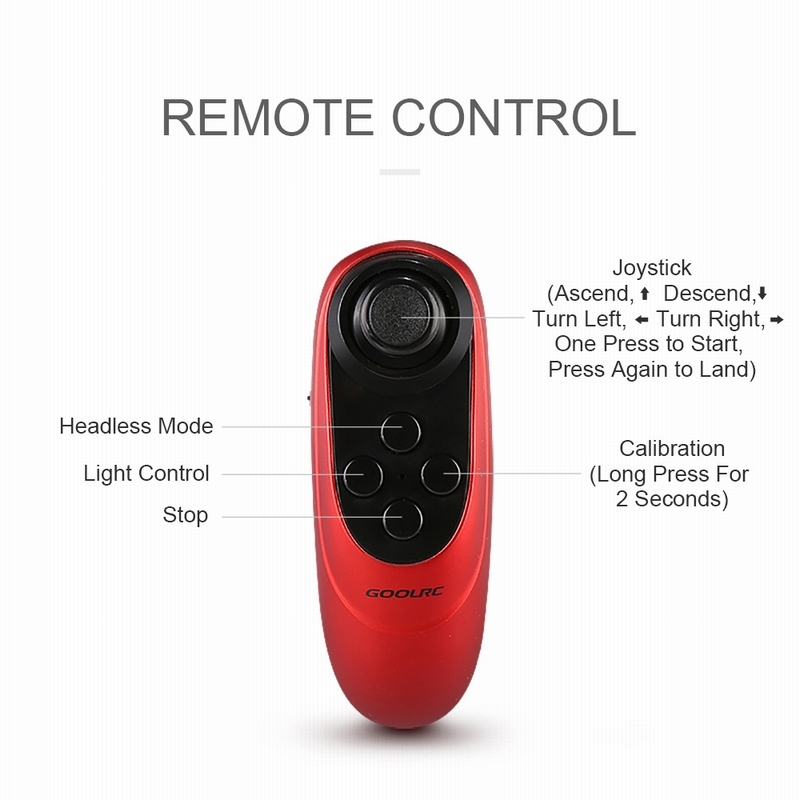 What surprised me the most was that the remote was a gravity sensor based, meaning that the drone would move according to how you tilt and angle the remote - super easy. It's got a fast and normal speed mode, and this thing goes fast, like nothing you'd imagine from a < $100 drone. I was so blown away by this whole package, but I gotta take off a star from the difficulty in fine-tuning with using the mobile app. I was able to connect it, and see its camera through my phone well, but I could not get it to be calibrated enough to stay still on air without shifting over somewhere. It's so much more fun with the remote though. I think it's also nice that when it gets stuck or runs into something hard, the propellers will stop instead of continuing to spin. 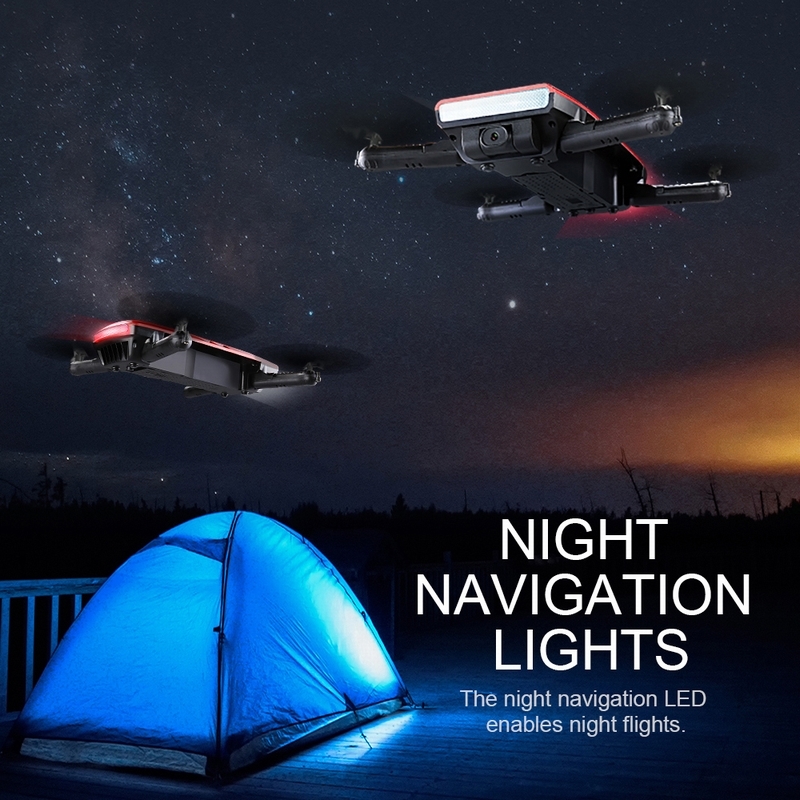 It comes with a set of two batteries, which is pleasant for a quick swap out, and you'll need it because time flies by (~7 min) when you're flying this thing around. I do wish I could have an option to control it with joystick alone without gravity sensor though. Make sure to read the instructions, don't fly it too high, because it's easy to lose this guy (no ability to return home) and it'll land without warning when the battery is about to die. Overall, it's really cool and great bang for your bucks! Good for beginner, has rear red lights and front white lights. It helps with determine which is front a which is back. It helps a lot, If you don’t know where the front is you can fly into a wall. I haven’t used the remote yet because at the time I was at work and didn’t have batteries for the controller. So I downloaded the app, you can scan the code in the manual or look for the app name. Make sure to charge the battery full before flying it. Word of advice read the manual before flying it. There are a few things you need to tap on the app before it can fly. Also when you plug in your battery to an outlet the red light will go off...that is normal... and it will come back on once the battery is fully charged...I was freaking out at first i thought the battery was broken!!!! I like flying it at 100% because the drone sways a lot less vs 30%. 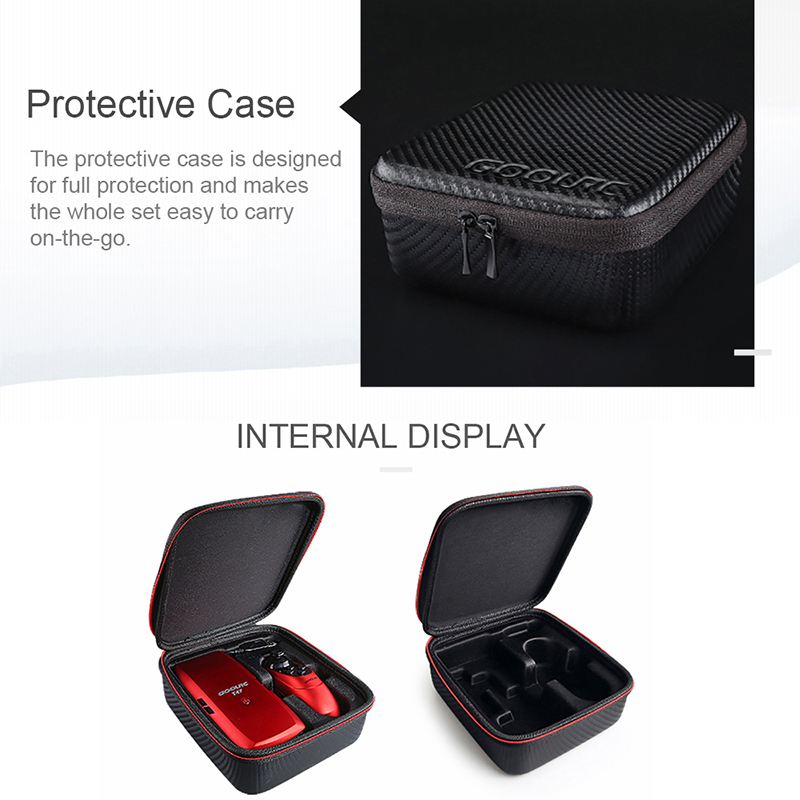 I love that it comes with a carrying case for protection!!!!! 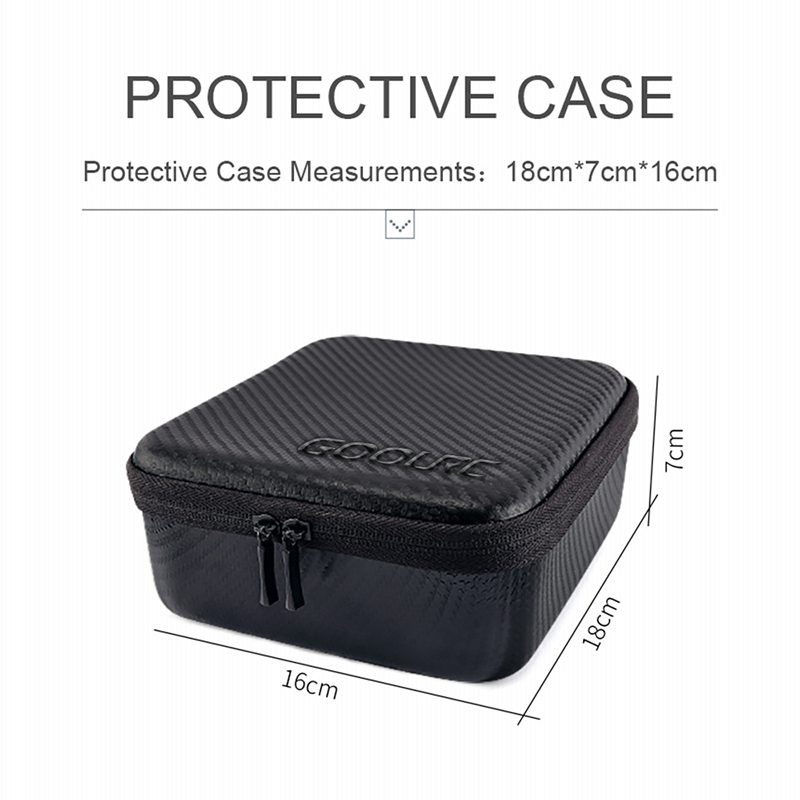 None of the drones I gotten so far has carrying case except this one! 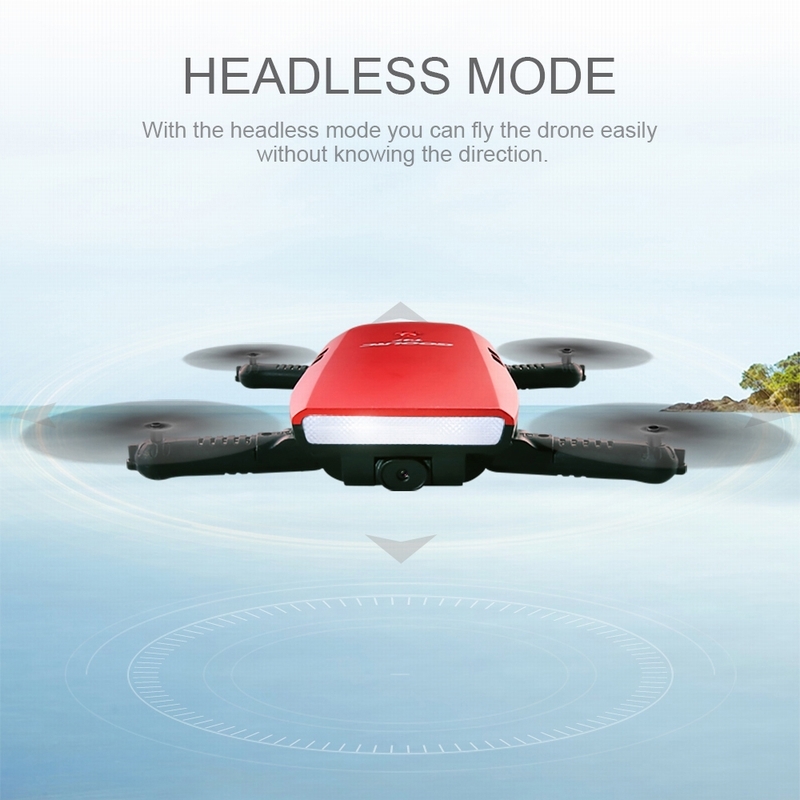 This seems like a pretty good, small drone. The arms fold in to make it easy to move around. It seems to fly well, though to be honest I need to get better at controlling it. I think someone who has more experience flying drones would have no trouble at all flying this one. 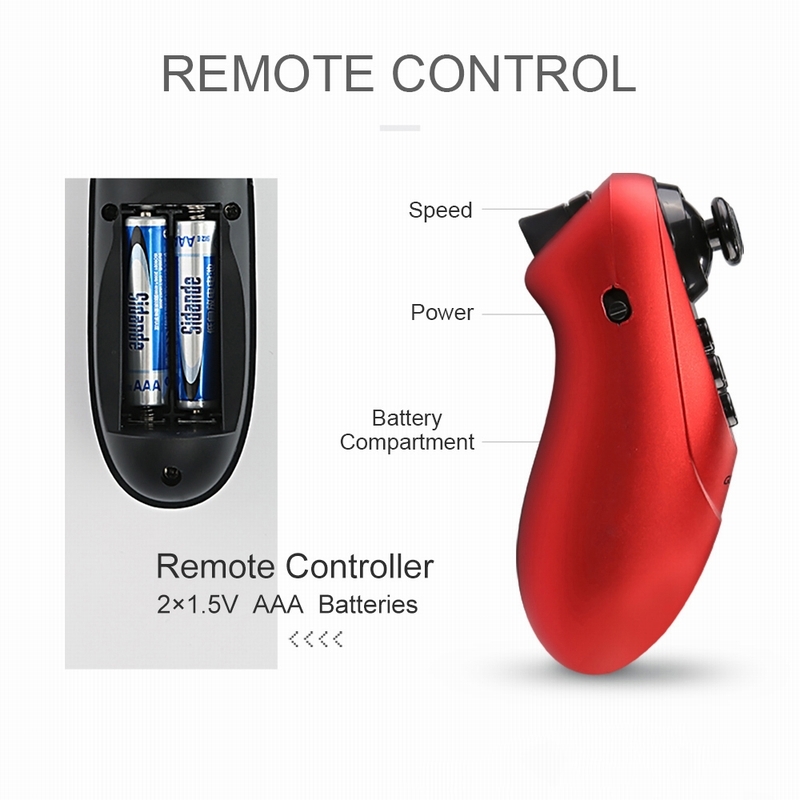 The controller is fairly straight-forward and simple to use. 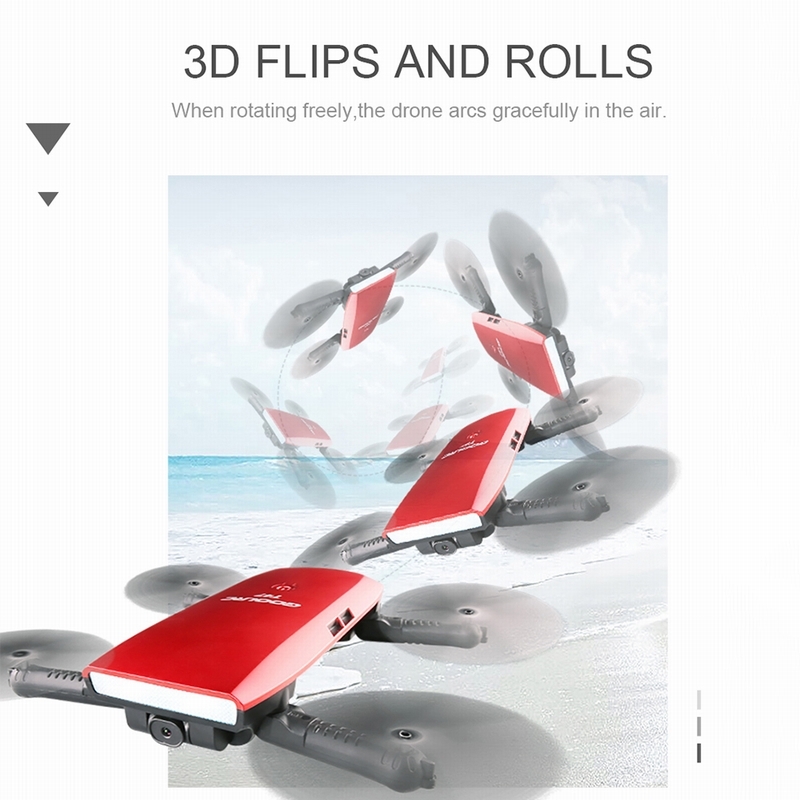 You simply pair it with the drone when you turn it on by pressing the joystick forward and then back. 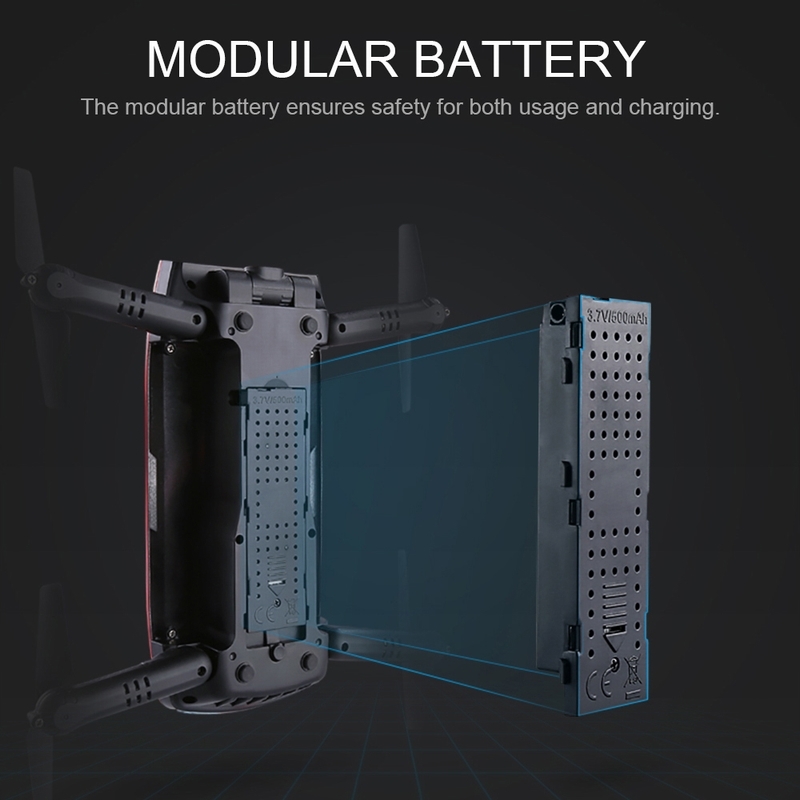 The drone comes with an extra battery. 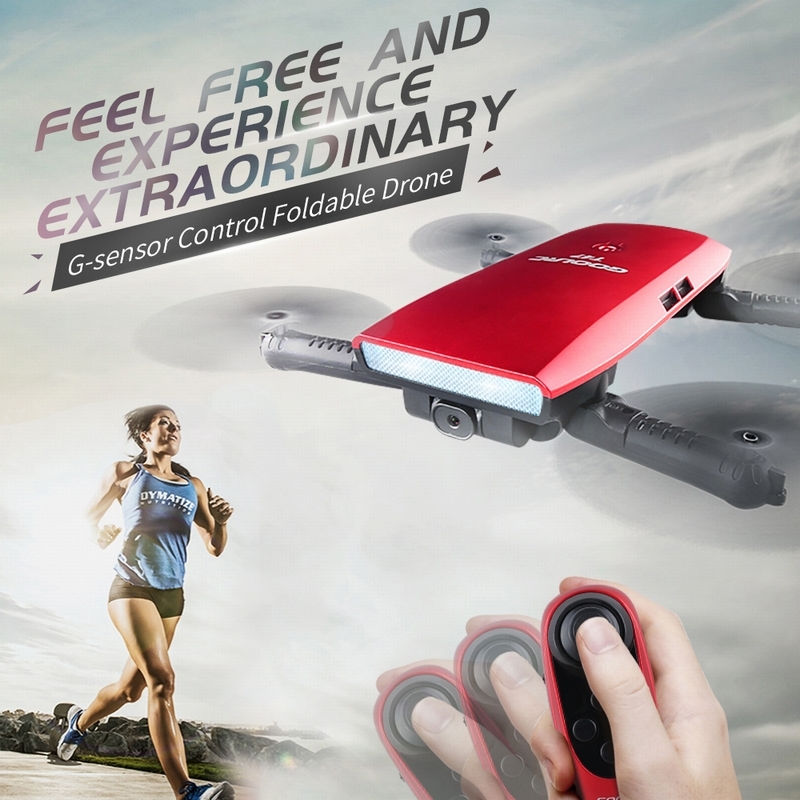 This is really a small, lightweight, compact drone. I could see taking it with me when travelling. I've tried some of the larger drones before and I have to say that I wasn't expecting much from a drone this size. However, I was impressed by the flight experience as the drone is very stable when hovering and the gravity controls were easier to learn and more intuitive than a traditional two joystick remote. 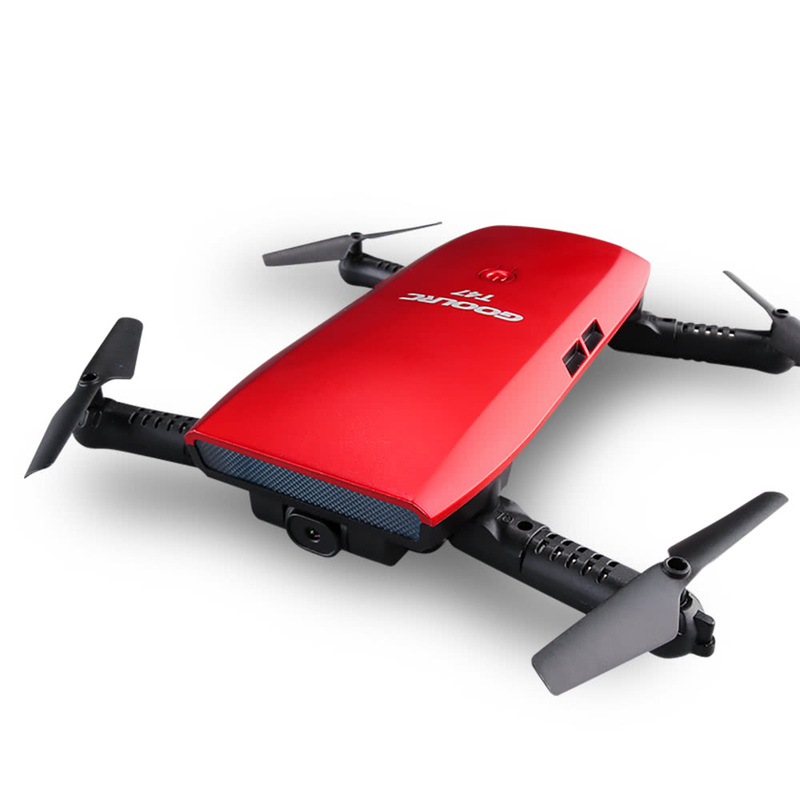 The drone folds up compactly making it easy to store in the included case and I'm glad that it came with two batteries because they are short lived at 7-10 minutes per flight. The drone is super light though, so in windy conditions expect to fight against drift or risk losing the drone. Luckily there's a "kill switch" emergency shutoff button that will shut off the rotors, but be warned, the drone will simply fall out of the sky and come crashing down. The gravity controller doesn't have all the features on it like camera shutter or 360 flip which is a shame because I like using it better than the mobile app to control the drone. Sometimes the app crashes inexplicably, or I have a hard time connecting to the WiFi but when it works, it works. The photos it takes are of decent quality, surprisingly, and you always get two, a "normal" photo and a beauty enhanced one which I think just bumps up the brightness a little. The video is also 720p but doesn't appear to be 30 fps because it's somewhat choppy. Overall, it's a fun little gadget/toy to play with. Tips: To start flying with the gravity control, turn on the turn followed by the remote. Then push the joystick forward then back to pair. Once paired, click the joystick in to start the rotors. Then use the joystick for altitude control and turning and tilt your hand for forward, back, left, and right panning. When controlling with the app, go to your WiFi settings and connect to the UAV network first before launching the app and pressing 'Connect'. Then tap the 'Off' icon to get the joystick controls on the screen and the 'Hourglass' icon to get the one-click launch arrow to show up in the bottom left corner. 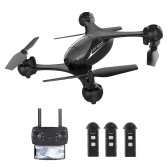 I bought this for my cousin and she love it, Its a nice little toy drone and for the price is a great value.Nice little and pretty cheap drone, Mainly for indoor use but I also use it when there is no wind outside. 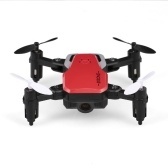 I liked a lot about this drone: -easy switch Out batteries -cool one hand remote - able to control by hand jesters -came with a nice case -compact design can be a plus Trouble I had It has low clearance, where this gave me a problem, was starting or landing in even short grass would get grass in blades. Over all really enjoy it for parking lot flying. We recently bought the CoolRC to get into the drone craze and this particular model performed well, but not the best that we had tried. 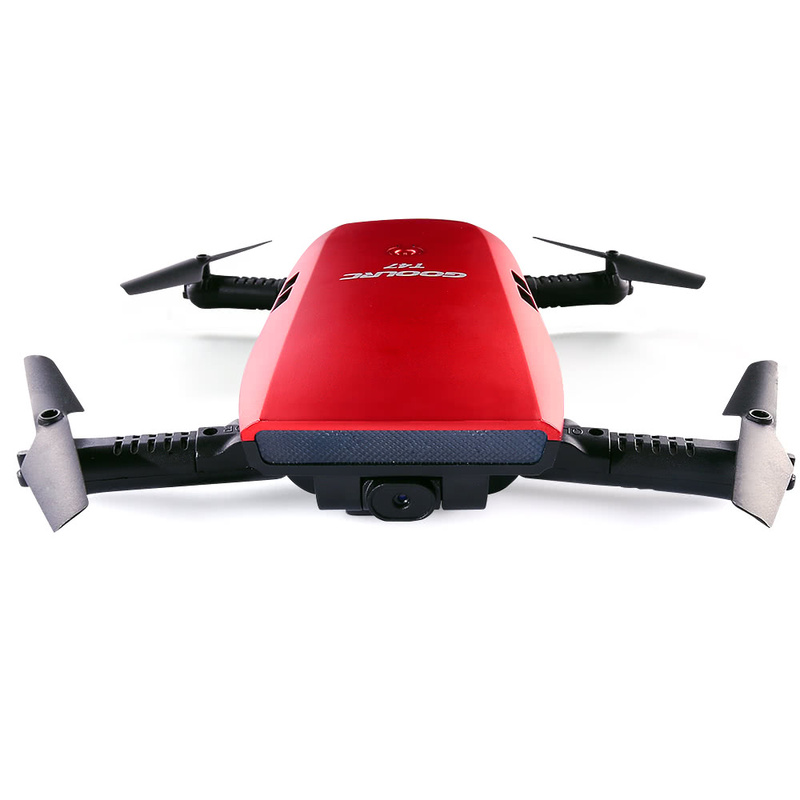 The drone has a camera quality of 720P and takes live video and can capture photos with a maximum range of 95 feet. 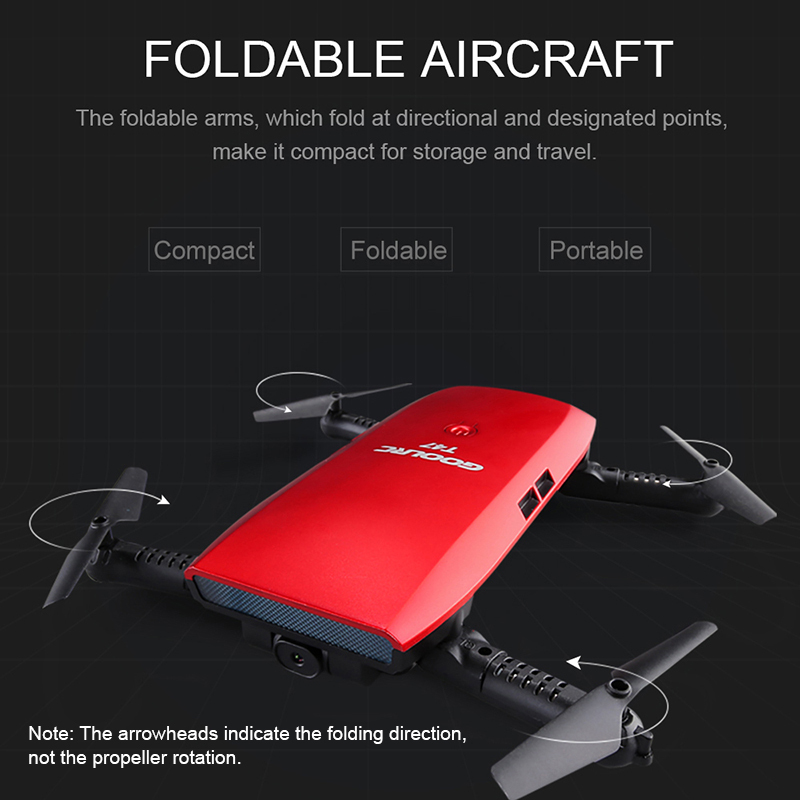 It comes with a carrying case and the wings are foldable and the drone is compact enough to be carried in a backpack. 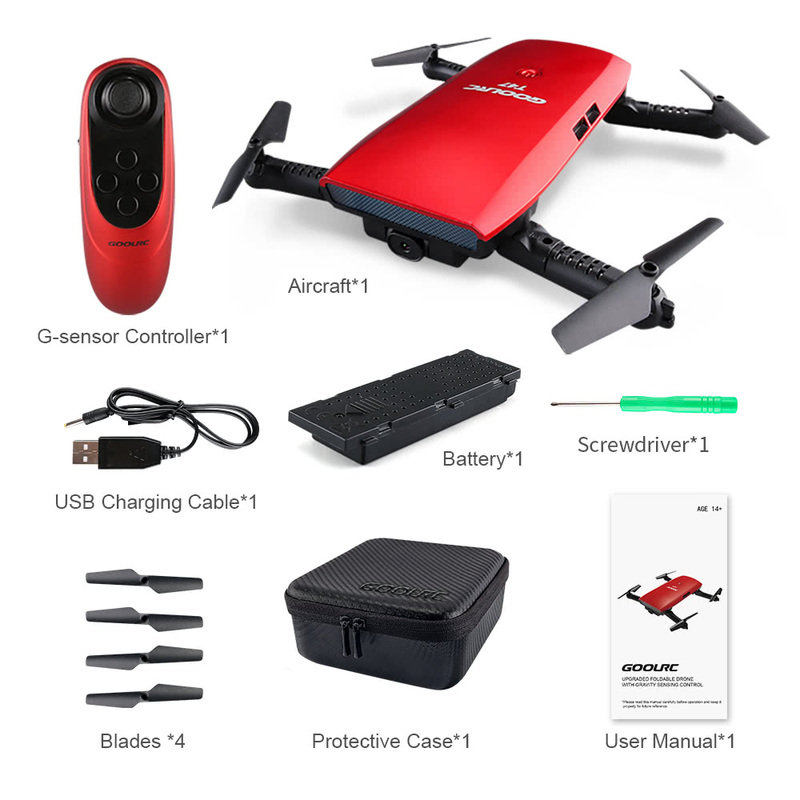 The best part of the drone is that it comes with two rechargeable external batteries so that you can play with the drone while charging the secondary battery. Our rating scale Design: 5/5 Utility: 4/5 Effectiveness: 4/5 Noticeable flaws: It was a little bit difficult to control with the phone app. The full charging time takes over an hour with only a 7 minute flight time. Suggestions: Improve the video and picture quality. 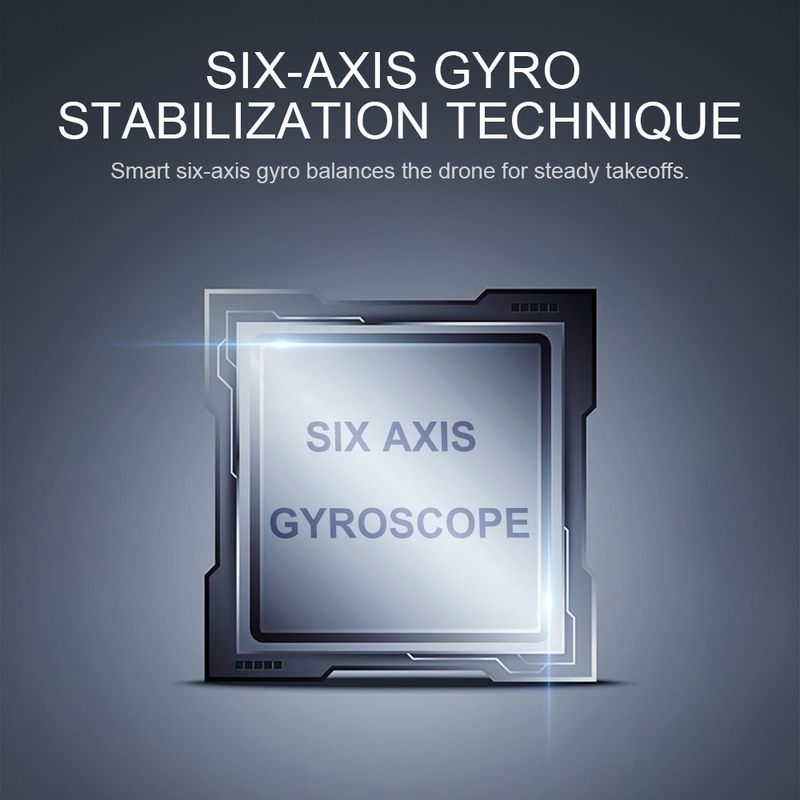 Also improve the sensitivity control of the drone and battery quality. Our answers to the frequently asked questions: Does it do 360 degree flips? Yes. 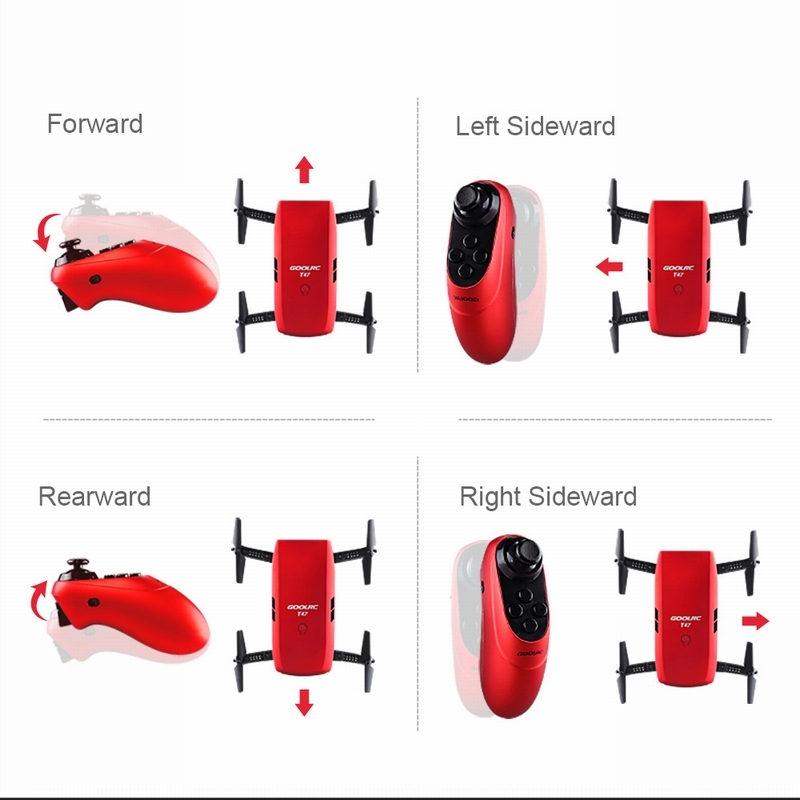 The device does flip 360 degrees, but make sure the drone has enough space to do the 360 degree flip. Where can i find replacement propeller blades for the goolrc t47? 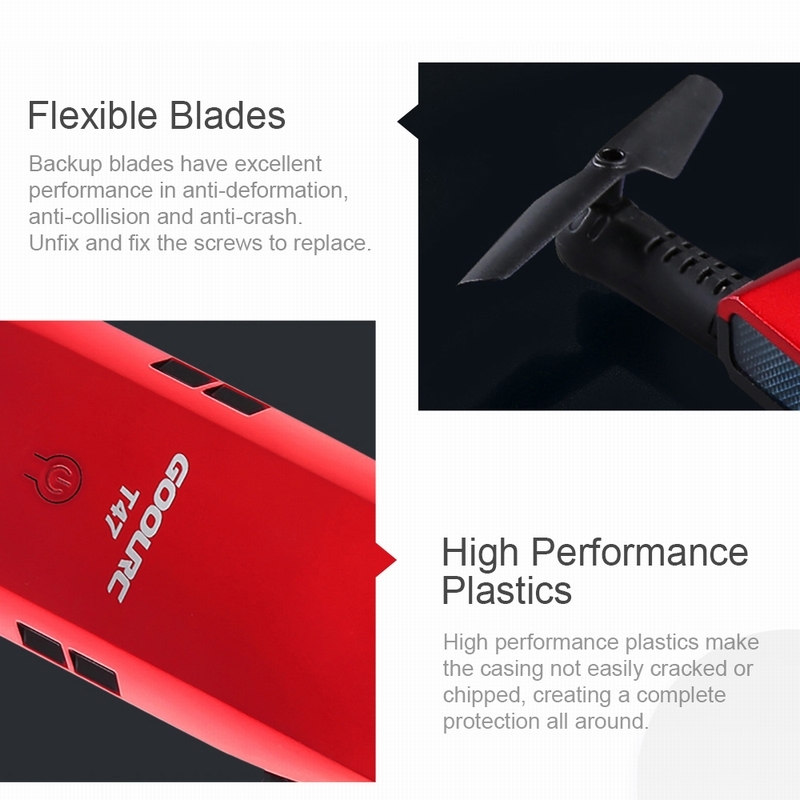 The drone comes with two sets of replacement blades. Does it come with carrying case and extra blades? Yes, it comes with a carrying case and two extra blades. 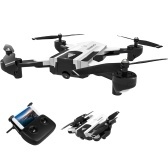 Overall, a good, but not best, entry level drone for the holiday season. Like our review? Hit the "Yes" button below for it being useful. Leave us a comment if you have any questions or send us an email. Thanks for reading!